1. Tao Wang, Qian-qian Wang, et al. "ASIC1a involves acidic microenvironment-induced activation and autophagy of pancreatic stellate cells." RSC Adv., 2018, 8, 30950-30956. Psalmotoxin 1 is a potent and selective acid-sensing ion channel 1a (ASIC1a) blocker. Several ASIC subunits described: ASIC1a, ASIC1b, ASIC2a, ASIC2b, and ASIC3 with different kinetics, tissue distribution, and external pH sensitivities. ASIC1a and ASIC1b both transform rapidly inactivating currents, following rapid and modestacidification of the external pH. 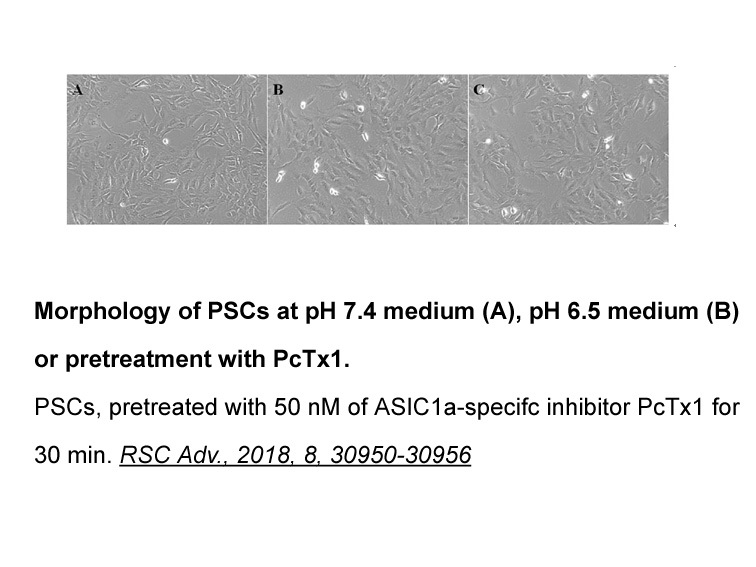 Psalmotoxin 1 (PcTx1) is the first potent and specific blocker of the ASIC1. PcTx1 has been successfully expressed to produce a spider toxin of the drosophila melanogaster S2 cell for the first time. Important structural elements involved in the binding of PcTx1 to ASIC1a channels was identified by surface characteristics of PcTx1. T . To identify the binding site of PcTx1, an iodinated form of the toxin (125I-PcTx1YN) was produced, and a set of binding and electrophysiological experiments on several chimeras of ASIC1a and the PcTx1-insensitive channels ASIC1b and ASIC2a were developed. 125I-PcTx1YN binding specifically to ASIC1a at a single site (IC50 of 128 pM) distinct from the amiloride blocking site. Results obtained from chimeras indicate that PcTx1 binds principally on both cysteine-rich domains I and II (CRDI and CRDII) of the extracellular loop, rather than binding to ASIC1a transmembrane domains (M1 and M2) which involved in formation of the ion pore. The post-M1 and pre-M2 regions for the ability of PcTx1 to inhibit ASIC1a current are crucial, although not involved in the binding site. . Psalmotoxin 1, a peptide isolated from the South American tarantula Psalmopoeus cambridgei, has very potent analgesic properties that inhibits thermal, mechanical, chemical, inflammatory and neuropathic pain in rodents. The blockade of acid-sensing ion channel 1a results in an activation of the endogenous encephalin pathway. .
. Escoubas P, De Weille JR, Lecoq A, Diochot S, Waldmann R, Champigny G, Moinier D, Ménez A, Lazdunski M. Isolation of a tarantula toxin specific for a class of proton-gated Na+ channels. J Biol Chem. 2000 Aug 18;275(33):25116-21.
. Escoubas P, Bernard C, Lambeau G, Lazdunski M, Darbon H. Recombinant production and solution structure of PcTx1, the specific peptide inhibitor of ASIC1a proton-gated cation channels. Protein Sci. 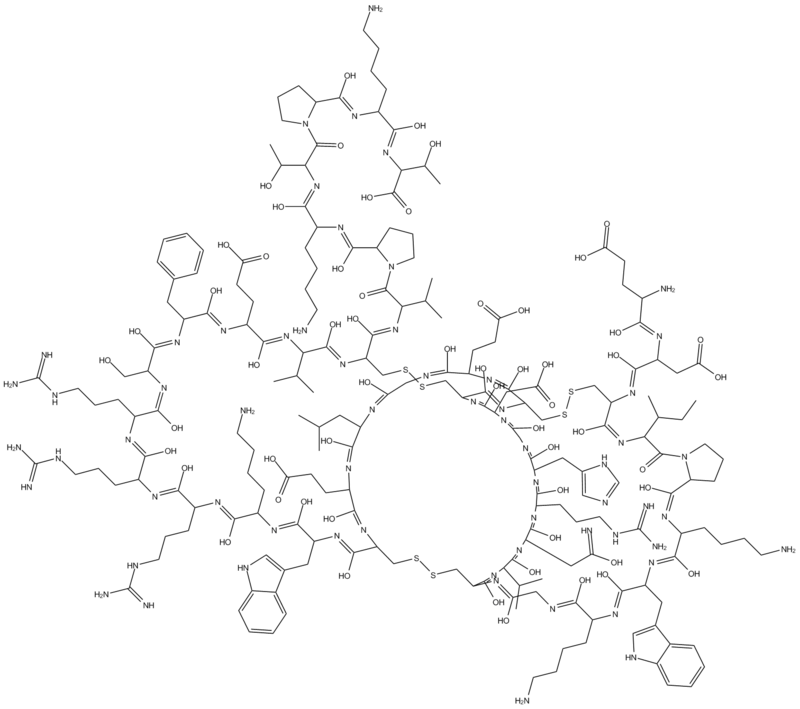 2003 Jul;12(7):1332-43.
. Salinas M, Rash LD, Baron A, Lambeau G, Escoubas P, Lazdunski M. The receptor site of the spider toxin PcTx1 on the proton-gated cation channel ASIC1a. J Physiol. 2006 Jan 15;570(Pt 2):339-54. Epub 2005 Nov 10.
. Mazzuca M, Heurteaux C, Alloui A, Diochot S, Baron A, Voilley N, Blondeau N, Escoubas P, Gélot A, Cupo A, Zimmer A, Zimmer AM, Eschalier A, Lazdunski M. A tarantula peptide against pain via ASIC1a channels and opioid mechanisms. Nat Neurosci. 2007 Aug;10(8):943-5. Epub 2007 Jul 15.